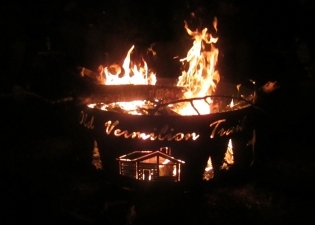 The Duluth Double Gun Side X Side Classic will once again be held at the beautiful Old Vermilion Trail Hunting Preserve located near Duluth, MN. This event will challenge the shooters to attempt targets in three different shooting disciplines. 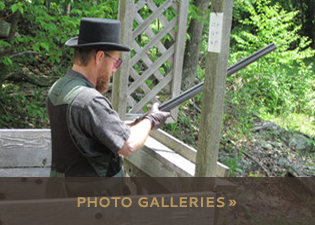 The All Bore Sporting Clays course will be open all three days. The shooter will be invited to compete with each other and themselves over a 30 target course. There will be prizes for the high score in each of the gauges 410,28,20,16 and 12. The shooter may re-shoot any of the gauges, the best score posted will be considered for awards. The All Bore Course will again be open for the Pump Gun & Hammer Gun Event. You can shoot the All Bore course with a pump or hammer type gun. 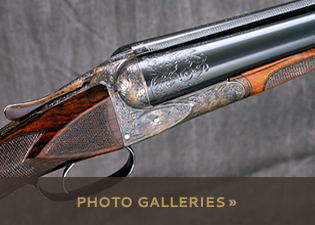 Each pump gun or hammer gun shooter will compete against their respective class where a prize will be awarded for the top shooter. 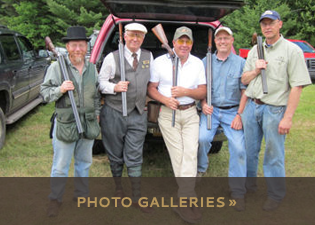 The Sporting Clays Event will find the shooters traversing trails carved through northern Minnesota’s vast forest land. 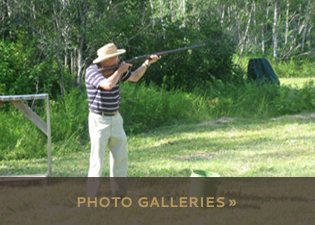 This 460 acre parcel was the host for the 2008 Minnesota Super Sporting Clays Tournament. Course designer, Burt Schwieger, will lay out a course that can only be described at “European” in that he controls the degree of difficulty by using terrain and deception instead of speed and distance to challenge the shooters as they attempt 88 targets. The scores will be handicapped for small bore shooters. The Hunters 5 Stand will be 30 targets set up to maximize the use of a side by side shotgun and give advantage to those that routinely hunt with them. Once, again, scores will be handicapped for small bore shooters. The Pigeon Ring Event will challenge shooters ability to shoot quickly and accurately as it will require the clay pigeon not only to be broken but for it to drop it’s “token” within the prescribed “Pigeon Ring”. The event is a total of 30 targets thrown as report pairs. The Pigeon Ring is not handicapped, so bring all the gun you have! Options that will be able to be played in the Main Event will be the Lewis Class Option and the Stations Option. Saturday Evening there will be a social hour where you will be able to visit the vendors and spend time with fellow shooters while the scores are tabulated. There will be food available as part of a fundraiser for a non-profit group. After scoring is completed we will give out door prizes and rewards for performance. Each Main Event shooter is entered in for the door prizes drawing. Plan to stay overnight and take part in Sunday’s events. You must be present to win the door prizes so plan to stay around for the drawings. Side games, with prize money paid out, will be available both Friday and Saturday. Fridays scores will be carried over to Saturday where the high scorers are awarded prize money. 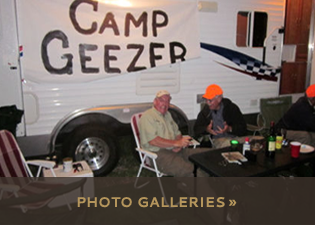 Vendors will be on site to feed our double gun addiction. 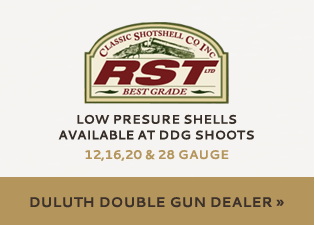 Please consider bringing the entire family to the number one tourist destination in Minnesota as you join your fellow side by side aficionados in camaraderie and friendly competition in cool Northern Minnesota for the Duluth Double Gun Classic. Food will be available for purchase as a fundraiser for Duluth Police Explorers. Please help this group out with their fundraiser.